So you have come to the point where you can’t quite make your monthly payments and need to end your car lease early and fast. Getting out of a lease is always more difficult than if you owned your car. Here are a few things to expect when trying to get out of your lease. Some leasing companies will charge you many fees for exiting early. Some of these fees are the early termination fee, costs to prepare the vehicle for sale, storage and transportation of your vehicle, and the taxes associated with leasing. It isn’t a fun process and can become quite the headache. If you decided, let’s say, in a 36th-month lease that you want out by the 21st month, you will be required to pay the remaining months. Even though some leasing companies do not require it, be prepared to shell out the rest of the payments. Also be prepared to deal with the negative equity between your lease amount and the current value of your car. You do have the option to buy and the sell your car as well if the payoff or buyout of your lease is less than the resale value but you still will encounter the early termination fee. If you decide to purchase a new car from the same dealership where you leased your current car, they may either waive certain penalties or at least reduce them. This can seem as hassle-free but all those fees will still creep up on you. When you have run out of options, the only thing you can do is default on your lease. When you are that crunch where you can’t make those payments anymore, you would need to consider defaulting to get out. However, this option can take a critical hit on your credit. When your credit history is pulled up in the future, it will not look good on your part and you will have trouble buying. Fortunately, you don’t have to be stuck in your lease. 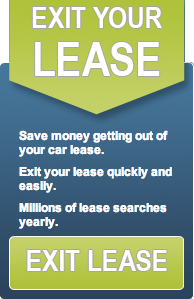 Swapalease.com is the largest online lease marketplace and they have what you’re looking for. Functioning as a sort of matchmaking service for cars, Swapalease.com helps individuals get more car at an affordable price. The online marketplace has vehicles and customers in every state in the continental United States and Canada. For more information on finding the best car lease deals or to learn how you can have a successful car lease exit, contact Swapalease.com at 866-SWAPNOW. With hundreds of family cars to choose from, it can be exhausting when figuring out which is right for your family. But if you are like many others who have a big family and need the extra room as well for storage on those family trips, look over the specs of these following cars that can be the perfect fit! Starting at $25,600, an MPG of 21 city/28 highway and seating for 5 to 7. Total Cargo Volume: For 5 seater (L series) behind the second row for 38.8ft3 and behind first row 73.5ft3. For 7 seater (LX series) behind third row 11.3ft3, behind second row 38.0ft3 and behind first row 73.0ft3. Starting at $29,740, an MPG of 21 city/28 highway and seating for 5. Total Cargo Volume: 31.1ft3 cargo space with all seats in place and 67ft3 cargo space with rear seats folded. Total Cargo Volume: There’s a 14.9ft3 of cargo space with all seats in place, 38.4ft3 cargo space with the third row down, and 68.4ft3 with both rear rows down. A good family car depends on what you and your family are specifically looking for. But keeping in mind the above factors will help you make a smart decision. For a great variety of vehicles at great prices, check out Swapalease.com. Swapalease.com is an online marketplace that allows drivers to list their current lease and helps match them with buyers looking to take over the remainder of that lease. Both parties get what they’re looking for all with the convenience of online shopping. Contact Swapalease.com at 866-SWAPNOW. While car shopping, we want to make sure we find the best deal out there and make sure we can afford the financing we get on a car. However, many car buyers pay attention too much to the price tag and not enough on making sure they get a good deal for a car loan. Here are a few common car loan mistakes to avoid because it can be costing you more than you think. When you go to a car dealership the first thing to happen is to get greeted by the salesperson. They will immediately ask what you are looking for and will rush you to pick a car and close a deal. They will also slip in some information about financing terms and sometimes, you can get nervous and say yes to anything and everything. Next thing you know, you signed up for a loan with interest rates you can’t put your head around and you are struggling to figure out how you can afford your car. Put your foot down and be willing to negotiate! If you don’t know your credit score and the dealer makes a credit check, they can pretty much tell you anything. They can easily say your score is lower than it actually is and will start building out financial terms that are too expensive for you. Go in knowing your score and how it can benefit you and ask the right questions. It is best to try to pay off your car before the 36 months end. Research how much you can afford and how much you are willing to put in as a down payment and how much you are willing to pay monthly. It is a bad idea to have your car loan for longer than 36 months because your car will begin to depreciate and lose its value. A great suggestion is to wait and save up to get the car you want or if you can’t afford a car, simply downgrade and choose something cheaper. Have you thought of trying Swapalease.com and drive a newer car every year or so? The online marketplace has vehicles and customers in every state in the continental United States and Canada. For more information on finding the best car lease deals or to learn how you can have a successful car lease trade, contact Swapalease.com at 866-SWAPNOW. When going to the dealership to shop around for cars you know you will talk to a salesman and then eventually go inside to set-up the buying/leasing process. Beware however of the dealership game. They can pull a couple fast ones on you that you didn’t realize could happen. Here are 3 quick tips and tricks to keep in mind next time you are at the dealership. It may not seem like a big deal if you don’t go car shopping often, but to those who have made purchases in the past, they ask for your driver’s license so they can go make a copy. What they are actually doing is making a copy and running a credit check. They can find out things about you that you don’t want them to know. To prevent this, make your own copy of your driver’s license and write “Permission is NOT authorized to run a credit check” next to the image. When you are looking around for a car, you can happen to come across the “supplemental sticker”. 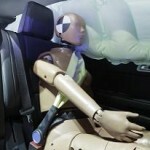 These are features that can be added on to the car, but at an overpriced cost. You can have the majority of the features, such as splash guards, window-tinting, and interior protection for half the price from other companies. Save your money and go for the car that you can easily add on the features yourself for a better price. Once you are just about done with the process of getting your car, look into the “Dealer Prep” fees. They can overcharge you for little things such as the arrival of your car and have it taken off the truck for you to take home and removing the plastic covers from the interior. This can ring up to almost $600! Try negotiating the fee to bring it down to a reasonable amount or threaten to break the deal if the fee isn’t removed. Buying or leasing a car is a big decision and should not be done without the proper amount of research and not being ripped-off. Luckily, Swapalease.com. makes your car shopping process hassle-free and they don’t play games with you. For more information on finding the best car lease deals or to learn how you can have a successful car lease trade, visit Swapalease.com or contact us at 866-SWAPNOW.